Sweet Romance Reads: From chemistry in the lab to chemistry between people. Welcome to the new authors who recently joined Sweet Romance Reads, a fantastic group. Let me explain how my life shifted from chemistry in the lab to chemistry between people. I grew up in a house cluttered with books, so many books in bookcases, drawers, under the beds in boxes. My mother built tables with columns of books covered with a nice red tablecloth adorned with a vase of artificial flowers. Yet my father, a literature professor and writer, repeated that writing books never fed a man and insisted that his daughters should seek scientific careers. And we did. But I never imagined that hazardous waste analysis would lead me to write novels. When my Ph.D. and work in chemistry landed me contracts to refurbish laboratories in foreign countries, I traveled to more than fifty countries on business or vacation. To relax from my hectic schedule, I avidly read romance and mentally plotted my own novels. Eventually, I left my high-pressure scientific career to share with readers the many stories brewing in my head. While struggling on the first draft of my first novel, I sent emails to Debbie Macomber and Stephanie Laurence, my two favorite authors at the time. They both answered with encouragement and Debbie advised me to join RWA and my local chapter. I received my first contract during a Florida Romance Writers conference in 2007 and published six books in the next three years. Self-publishing my novels was the best thing I ever did for my publishing career. In 2012, my books landed on the Amazon bestseller list for contemporary romance and medical romance. Amazon translated Babies in the Bargain in German and French, and later Right Name, Wrong Man in German. I was walking on cloud nine when Amazon posted my name in the 100 most Popular Authors in Romance list for several months. Filled with energy and enthusiasm, I hid in my writing cave and wrote for days and nights, stopping only to walk on the beach or exercise at the gym. 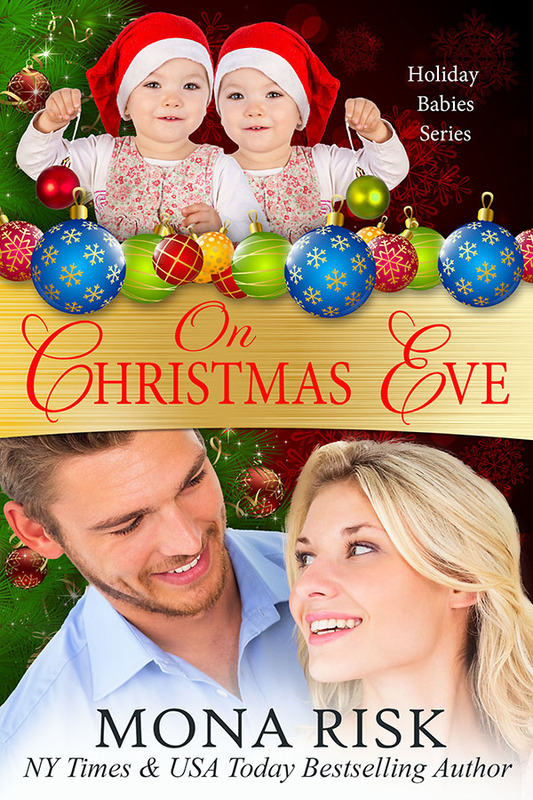 I tried my hand at creating series like Holiday Babies Series that garnered over hundred reviews. When the sales decreased, I coordinated boxed anthologies with other authors. Together, we formatted, uploaded on various platforms and promoted non-stop, and reached the USA Today bestseller lists (8 times) and the New York Times bestseller list. I was delighted to receive an Outstanding Achiever Award from Affaire de Coeur Magazine; a two-time Best Contemporary Romance of the Year from Readers Favorite; a Best Romance Novel of the Year from Preditors & Editors Readers Poll; and an EPIC Award finalist. I write contemporary romance, sweet romance, romantic suspense, medical romance, and paranormal fantasy. Sprinkled with a good dose of humor, my stories are set in the fascinating places I visited, from exotic Belarus, historical France, touristic Spain, and lively Italy to the beaches of Greece, the monuments of Egypt and the mysterious Islands of Seychelles—or more simply in Ohio, Florida, Boston and Washington, DC. If you like to travel and love to read, come and enjoy my international romances. Meet the spirited heroines and the alpha heroes who share irresistible chemistry in stories that simmer with emotion. We want a mommy for Christmas. Thanks for the reintroduction, Mona. I well remember all your achievements, as we have been writing friends for a long time. My sincere best wishes for your continued success! Thank you Josie. I value your friendship too. I love reading about your journey to writing novels. It was rocky with a new up, every time I thought I hit bottom and was about to give up.